If don't know who Jack Davis is, inquire here . Anyhow, this just a quick way of saying sorry to a constant commenter who visited this: Weirdo. he always had nice things to say, but I never responded(mostly because I didn't have the email comments to ". . ." option on) but this is an appeasement everyone can enjoy. The near compete issue of Yak Yak number 1, featuring all Davis all the time. Keep up the good comments buddy. Aww thanks for that pal. I love coming to this blog because you post a lot of cool stuff on here. This stuff inspires to want to draw better. I would love to see an animated done intrue American comic book style. 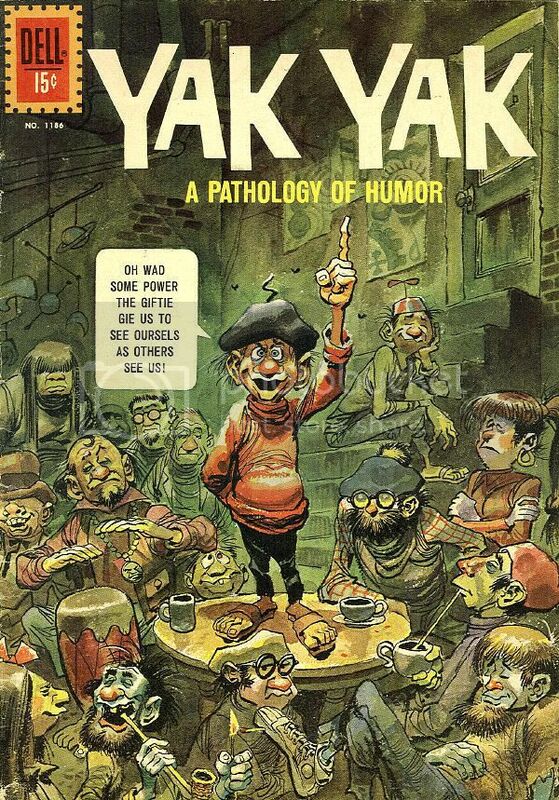 I also saw that post On Jack Davis Yak Yak. I have to say that he did his best artwork when he was working at EC or with Harvey Kurtzman. What do you think? P.S. I'll be sure to keep up with the good comments. Stan Lee and Jim Steranko, Together? Who knew!